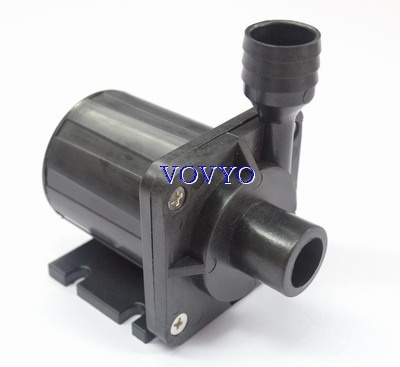 Brushless Dc Pump (DC50B)--VOVYO Technology Co., Ltd. 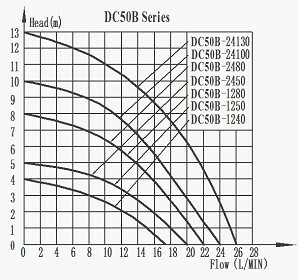 The current above is starting current, when contact to circulation system the current will cut down to 55%~65% of Rated current. 1.Brushless, permanent magnetic rotor, maintenance-free, long life. 2. Small size, high efficiency, low consumption, low noise. 3. Ceramic sleeve and ceramic shaft 【optional】. 4.Stator and circuit board sealed by epoxy resin, completely water proof. 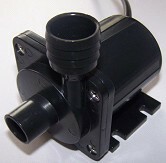 5.Parameter adjustable, 12v pump’s head can be 3m to 8m. All Rights Reserved © 2011 VOVYO Technology Co., Ltd.